Have you heard people ask this question? Sometimes it seems overwhelming to try to think of a gift for a friend, coworker or loved one when they seem to have everything they could ever want already. It's probably because you're thinking of giving them a thing, an object, something they could easily buy. I'm going to tell you a secret about gift giving that will change how you think about birthdays, anniversaries and Christmas celebrations. Ready? Here it is: the best gifts aren't items. They're experiences. Look around your community for local events and experiences. Take a music-loving friend to hear a community orchestra or a jazz ensemble. Find a new park or trail to hike together and pack some fun snacks to share along the journey. Is there a show or an exhibit coming to a museum or gallery near you that your spouse or coworker might enjoy? You can also help your friends and family members by suggesting these kinds of experiences as gifts. Doing something together to celebrate your birthday creates a memory that lasts. It gives you new stories to share and gets you out of your routine to add a little freshness to your life. Giving experiences doesn't have to be expensive. You can bring them muffins, take a picnic lunch somewhere fun. Pick up smoothies and walk at a local park. Invite someone for coffee or for a meal. Spending time together and getting away from daily distractions allows you a chance to connect to the people who matter most to you. You don't even have to wait for a special day to celebrate. 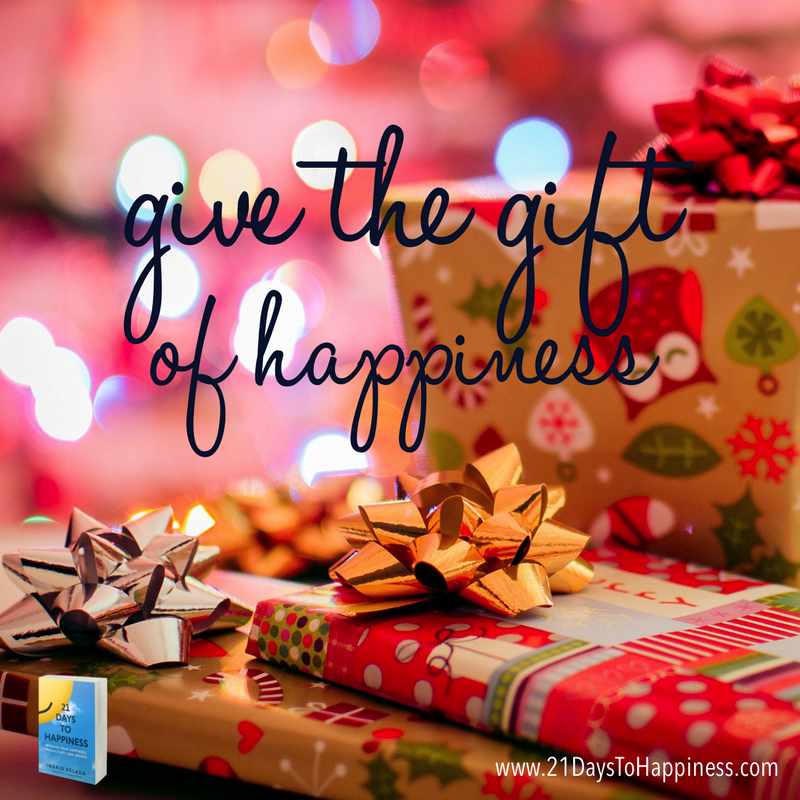 You can give this happiness-boosting gift any day! So this year, as the people around you celebrate milestones, keep experiences close in mind. Look for opportunities to share them with the people you appreciate to show how much you care by giving them a lasting gift of happiness. Learn more about how experiences impact happiness in Day 16: Money: Buy Experiences, Not Things, in my book, 21 Days to Happiness. We all seem to be so busy these days! Being busy can add extra pressure to our schedules and mean that we need to be extra productive. With so many things on our minds, it can be tricky to focus on one task at a time, and we can end up hopping from one task to another to another without actually completing much. Does any of this sound familiar? If so, you're not alone, and I'm here to help. Making a few simple changes to how you approach your work periods can really impact your productivity. One of the most effective changes is to work in short, focused bursts. Take quick breaks in between work sessions to let your mind relax. 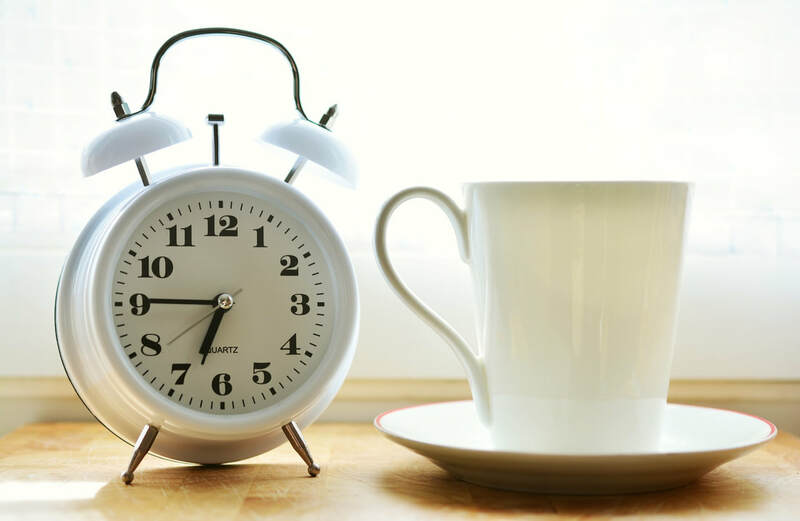 A great model for this type of work-break time management is the Pomodoro Method. Work for 25 minutes. Take a short break of 5 minutes. Repeat this for three rounds. On the fourth round, work for 25 minutes and then take a longer break of 15-30 minutes. You can use a timer to set intervals yourself. You can also do a quick search on YouTube or wherever you download apps to find either a video with Pomodoro intervals marked or an app to manage the intervals for you. The goal is to have short but uninterrupted time spent on specific tasks. Try making a list of your goals before you begin to help narrow your focus. You may find you get more done in a 25 minute Pomodoro session than you did in an hour working another way. Give it a try! See how it works for you. 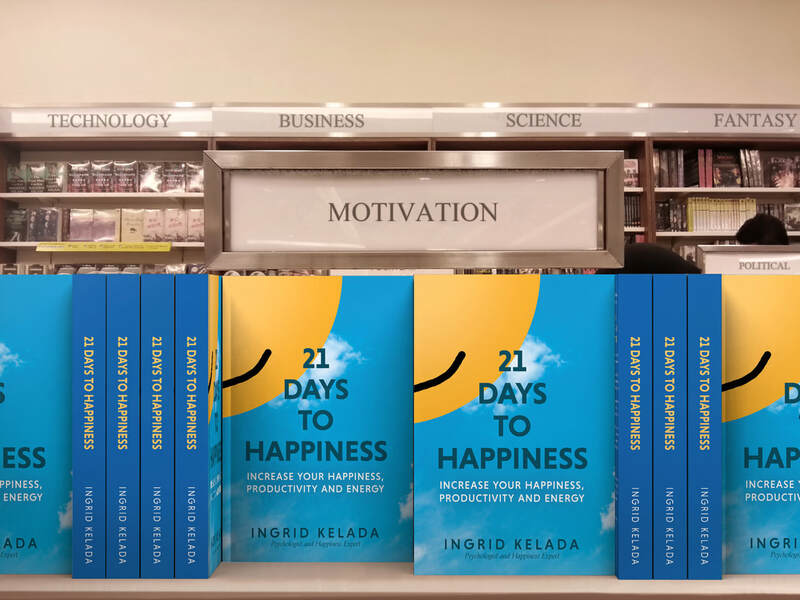 You can learn more about time management and the connection between time and happiness in my book, 21 Days to Happiness. It's that time of year...the holidays, the parties, the excitement! You probably have a lot to be grateful for and may take some things for granted. You don't need much in order to be happy. Many people without a lot still find real happiness in their daily lives. Focusing on these blessings will foster an attitude of gratitude in your life. And that attitude is like fertile soil where happiness will grow and flourish. Develop a habit of noticing good things and expressing your gratitude for them. Try it for 21 days. You will see a difference in your overall happiness and contentment. Ready to start your happiness journey? "Day one" of my book, 21 Days to Happiness focuses on gratitude, and offers additional tips and strategies for greater happiness through gratitude. Each day of the 21 day journey takes you through another area of life where you can make simple, practical changes for greater happiness. I'd love to see you start your journey today! Have you ever felt trapped by your day to day schedule? Maybe you feel like you're busy all the time or you simply don't have anything coming up soon that you're really looking forward to. Being busy or simply maintaining our day-to-day responsibilities can make life feel monotonous. We feel like we're missing something. Trying something new-- big or small-- can give us a boost of happiness in a lot of ways. Not only does planning the new thing give us something to look forward to and anticipate, actually doing it can be a fun adventure. Then we have a story to tell and a memory to look back on, which is like a happiness bonus! Here are some quick and easy ideas for new adventures you can try on any budget and with limited free time. 1. Try a new food. You can browse an aisle at the grocery store you rarely visit and try something new, like a soup or unusual fruit. Or you can invite friends to a restaurant you've never visited before. If you opt to go out with friends, consider ordering different dishes to share, so you each get to try several different items. Feeling even more adventurous? Invite a friend over to try a new recipe or style of cooking together! 2. Visit a place you've never been. Look online to find your city's website or community calendar. Is there a museum you've never been to? A park? Maybe there's a jazz night or community orchestra concert you can attend. Check nearby theaters for live community theater performances. 3. Try reading a book outside your usual genre. Look for a book you might not ordinarily pick up, but something that strikes your interest. Maybe the memoir of a famous person or historical figure you've always been interested in. If you're worried about finding time to sit and read, try an audiobook to listen to on the go! 4. Change up your routine. Take a different route to work or the grocery store or gym. Take a walk outside instead of on the treadmill or at the gym. Get up ten minutes earlier and sit outside with your morning coffee. 5. Rearrange your furniture in your bedroom, living room or office. Moving things around will make the room feel fresh and new. You can spice things up even more by adding a new houseplant or a vase with fresh cut flowers. Doing something new might take a little bit of planning, but the burst of energy and happiness it brings you makes trying a new thing worthwhile. Sharing these experiences with a friend or loved one will deepen those relationships. You'll also find you feel a glow of happiness long afterward when you look back on the experience and remember it. You can learn more about how experiences bring happiness in my book, 21 Days to Happiness. Click the button below to learn more. In our society, we spend a lot of time seeking pleasure. We work hard, and many times we want to play just as hard. 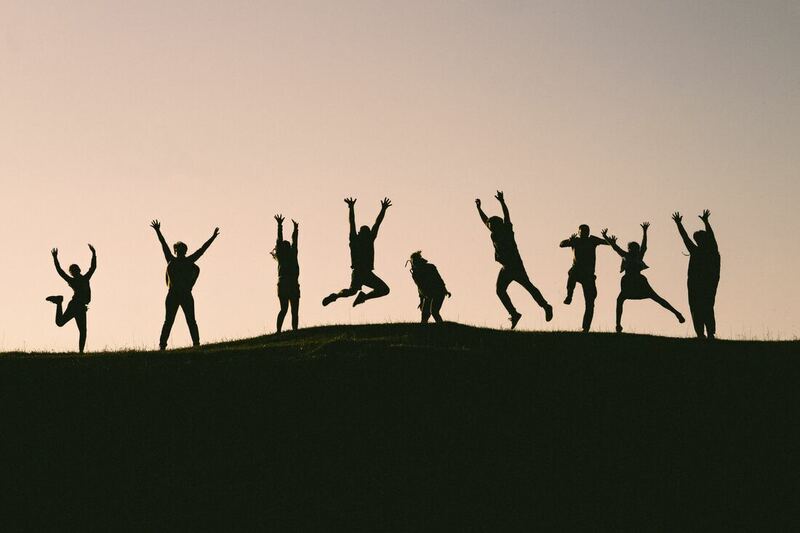 Having fun and spending time with friends are great things, but those pleasure-seeking experiences don't always leave us feeling truly happy. Why is that? Pleasure is that momentary high we feel in the midst of a good experience: a fabulous meal, a hilarious joke, making love, and so on. It comes from an external source. It's a response to what's happening around us, directly affecting our senses. Unfortunately, this great feeling doesn't last beyond the good experience causing it. Happiness is a long-lasting feeling that isn't directly affected by what's happening to us in the moment. It has some overlap with pleasure. For instance, if you go out for dinner with a good friend, you will experience pleasure from the tasty meal and the funny parts of your conversation. But you will experience happiness from sharing an evening with someone you care about and creating new memories together. The relationship brings you happiness. The act of sharing yourself with someone else, being open, listening to another person and being listened to, bring happiness. And that happiness lasts long after the meal ends, and you've gone home. One of the big problems with chasing pleasure is that it's a bottomless hole we can never fill. As soon as the pleasurable experience ends, the feeling fades. We have to hurry to the next good experience in order to recapture that high again. We rush from one experience to the next-- more food, more money, more success at work, more things filling our homes-- in order to feel pleasure. Chasing pleasure can be as addictive as drugs or alcohol. What if instead, we focus on happiness? Taking the time to invest in meaningful relationships with others, to share acts of kindness with those around us, or simply slowing down and finding ways to show gratitude for the good things in our lives can make a huge difference in how we feel. In fact, those things and other keys to happiness can boost our lasting happiness and joy. Changing the way you think about happiness and pleasure can be overwhelming at first. The good news is you don't have to do it alone! 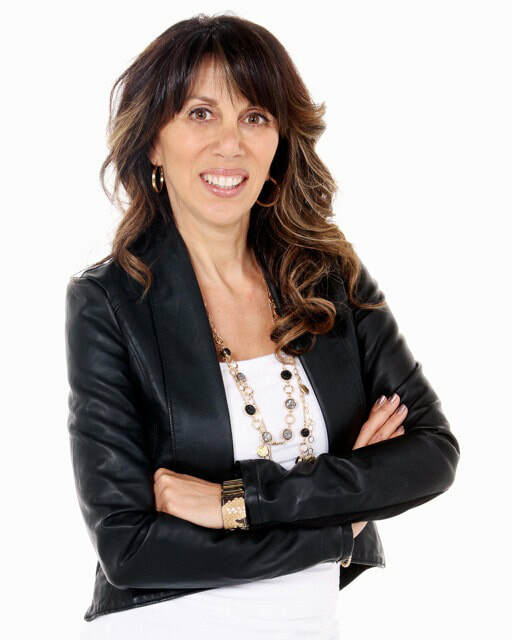 I can help guide you step-by-step through a journey toward lasting happiness, joy, and energy. And it only takes a few minutes a day. 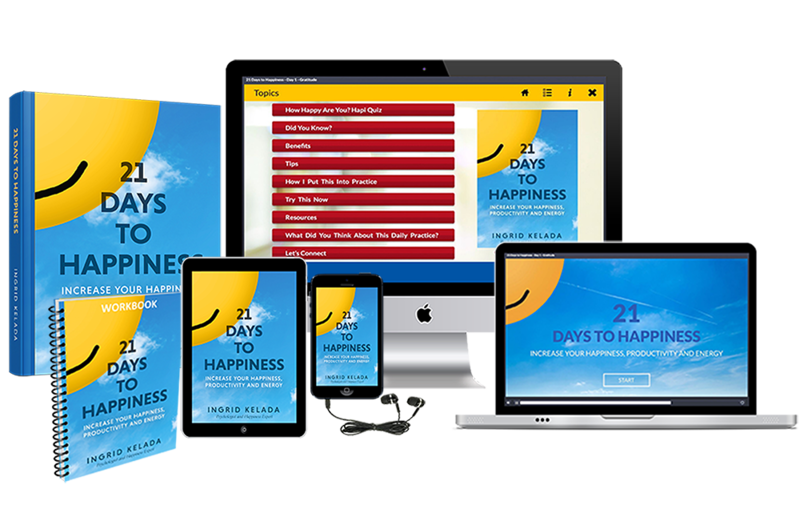 My book, 21 Days to Happiness, will lead you through 21 days of practical life strategies that will increase your happiness, energy, and productivity. Do you want to know one of the best secrets to true happiness? It's probably not what you think. One of the greatest ways to have a happy life is to create connections with others. Does this sound too easy? Too hard? The truth is, relationships can be challenging. But they also bring the greatest rewards we can imagine. Think about the people in your life with whom you have connections. You look forward to seeing them. They give your life some unpredictability. Something to look forward to. You never know exactly what they'll say or do. 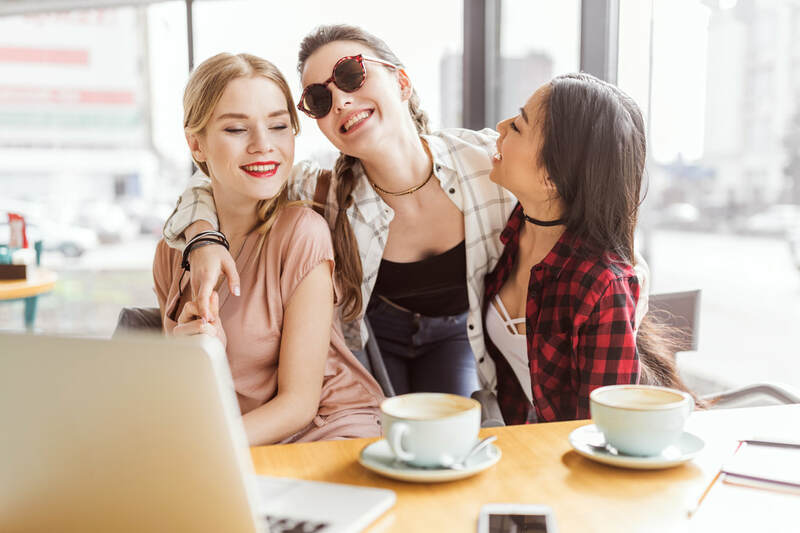 A chat with a friend or peer can provide an opportunity to celebrate your successes or share a disappointment and gain some perspective or get some advice. "A joy that's shared is a joy made double"
In addition to connecting with people, forging a connection with the world gives us the opportunity to step away from the chaos and appreciate the greatness around us. Spend time outside, listening to the sounds of nature. You'll find just doing this alleviates some feelings of anxiety and stress. Take a walk and enjoy the trees, flowers, and birds around you. Allow yourself a few moments to marvel at how intricate and beautiful nature really is. Focus on that feeling of gratitude. Take that positive experience with you to your next appointment or meeting. Smile when you greet other people. Ask other people how they're doing, and mean it. Giving your attention forges connections with people and spreads happiness. They'll feel happier, and so will you. This kind of connected life will take the focus away from your complaints. Instead of noticing all the things that don't go the way you want, you'll begin to notice the things that you're grateful for. People want to spend more time with someone who makes them feel good. When you are a person full of gratitude and positive energy, that makes people want to spend more time with you. This doesn't mean you can't vent to or confide in others. You don't have to pretend to be happy when you aren't. People feel close to someone who shares an authentic self. If you're unhappy, and need to talk about something, seek out a trusted friend and open up to them. It may prove to be an opportunity for you both to bond and explore solutions and paves the way for new, happier experiences to come. In my book, 21 Days to Happiness, I talk about how important connections to others are for happiness and how to nurture those relationships. Find out more in my book in Day 19, Relationships: Better than Money in the Bank. Do you want to put a smile on someone's face today? Maybe make their day a little better? It won't cost a single penny or much time to do just that. And because smiling is contagious, you'll find that making one person smile causes happiness to spread like a sweet smell on a warm breeze. Challenge yourself. 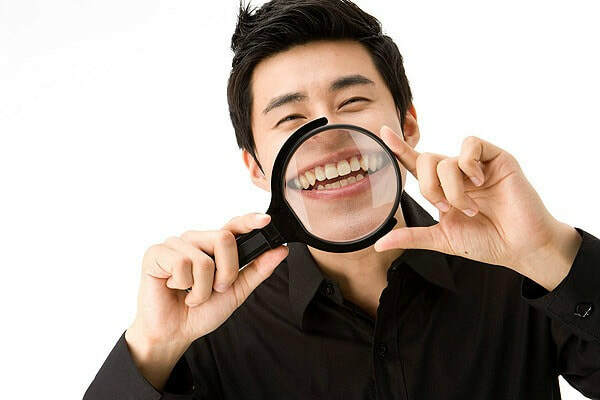 See how many of these smile-spreading techniques you can complete this week! 2. Compliment a friend or work colleague. 6. Make a surprise call to your partner or a friend at work, just to say hi. 9. Share a joke with someone. 10. Send a card or note to a friend or coworker letting them know you appreciate something they've done. 11. Give up your seat on the train or bus to someone. 14. Plan a picnic! Raining outside? How about an indoor picnic! 16. Send someone an unexpected gift like a tasty snack or a book they'll enjoy. 17. Tell your child you're proud of them or tell a coworker they're doing a great job. 18. Tell someone you thought about them. 19. Cook a surprise meal for your partner or friends one night, especially if they normally do the cooking. 20. Send some flowers to your partner or a friend at work. For more tips and ideas on spreading happiness through acts of kindness, check out Day 9 Kindness: Pay It Forward in my book, 21 Days to Happiness. Are You Chasing the Butterfly of Happiness? Sometimes we treat happiness like it's an elusive butterfly in the garden of life. Imagine a young child in the garden on a summer day. He sees a beautiful butterfly flitting from flower to flower. He wants to see it close up, touch it, and hold it in his hands. But as he moves towards the flower that the butterfly is resting on, just as he gets within reach, the butterfly moves to another flower. And so the child follows the butterfly to the next flower, and then the next. But the butterfly always stays just out of reach. 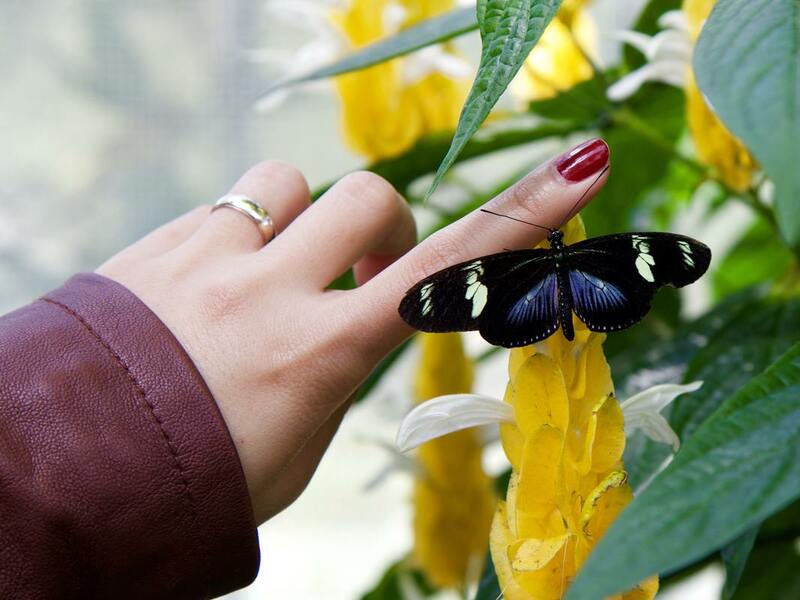 Even to adults, happiness can seem just like that butterfly: always just out of reach. It can become almost an obsession and the words “if only…” become an increasingly large part of our thoughts and vocabulary. "If only I had more money I would be happy, if only I was in a great relationship I would be happy, if only I could have a different job..." and the list goes on. This kind of thought life doesn't lead to greater happiness. If we achieve one of our “if only “desires, the happiness we seek somehow manages to stay just out of our reach. Do you remember the expression about the grass being greener on the other side? It's the same idea. The truth is, we won't be completely satisfied by external events or circumstances. To find happiness in life we must first be at peace internally. External events and circumstances can bring us happiness in the moment, but they do not have a lasting effect on our inner self. Life brings a mixture of good and bad circumstances to everyone. To rely on life’s experiences for our source of happiness would mean living life in a constant emotional roller coaster ride. Wouldn't it be better to learn to have a steady feeling of contentment rather than be at the mercy of circumstances and be tossed from the high and low feelings like a ship in a storm? Think about it ... every single thing we do is intended to make us happier. The people we choose to spend time with. The ways we spend our time. And yet sometimes we get distracted and do things that actually move us away from this goal. We all have the potential for genuine happiness. We make choices throughout our lives. Each option is like a series of locked doors in front of us. 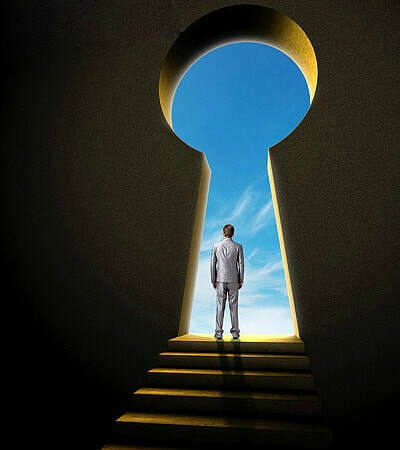 We choose which path to follow and open the door we've chosen. The result of all these choices combined determines our level of happiness. Make the right choices and happiness can be yours. 1. Look For The Positive In Everything: You know the old saying about a glass being half-full or half-empty? Finding the positive means choosing to focus on the parts of a situation that are going your way. Do this and you will be happier. Those who soar against all odds, do so because they look at the positive that could come out of their situation, how ever bad it may seem to others. 2. Accentuate The Positive: From a young age we are taught what we must not do instead of what we may do. Don't run with scissors. Don't jump on the bed. Don't cross the street without looking both ways. Even in day-to-day life, there is more negative influence that positive. Luckily you can work to improve the balance. Phrase things in your mind as positives. Focus on DO rather than DON'T. Celebrate the positive and work to get more of it. When you achieve something, congratulate yourself! 3. Practice Good Selfishness: When we were young we were taught that putting our interests before those of others is wrong. This is particularly true for women, many of whom sacrifice their dreams and ambitions to help others achieve theirs. It is also common in the corporate world where the good of the company is considered more important than the good of the individual. Helping others and being a team player are important things, but we need boundaries to protect ourselves from being manipulated or abused by others. You are important, and you must look after yourself physically, emotionally and spiritually. 4. Listen To Your Feelings: Feelings are your body's messengers. They make us aware of circumstances around and inside us. Sometimes those messages are pleasant, other times not. Our tendency is to distract ourselves from unpleasant feelings or to resist them in some way. Sometimes we tell ourselves we shouldn't be angry or sad or frustrated by something that has happened to us. The next time you have a feeling like this, take a moment to stop and experience it. So what if it's caused by a situation outside your control (like frustration over rush hour traffic). Take a deep breath an acknowledge your feeling. You don't have to live in it, but pushing it away or pretending it isn't there isn't healthy either. 5. Give More: The more you give, the more you receive. It seems that the more of yourself you give, the greater the thrill and uplifting effect on your psyche. Help the needy. Give time if you can. Give anonymously, even if you lose the tax deduction! 6. Visualize Your Happiness: You have the ability to make things happen using your mind. Top sports stars, and business people use it, and so can you. Get a picture in your mind of whatever it is that you want to happen. It does not actually have to be a visual picture; it could be a feeling, a smell, a sound, or any combination of the senses. Imagine finding the perfect parking near the entrance as you arrive at the supermarket or mall … the sky is the limit, but persevere! We are not used to utilizing this tool, so it takes practice. 7. Accept The Things You Cannot Change: We resist things we don’t like, and often expend a tremendous amount of energy on this resistance. When something bothers you, take a moment to ask yourself, "Can I do anything to change this situation?" If the answer is yes, get to it! But if the answer is no, then give yourself a moment to feel the disappointment or frustration and then begin to move on. 8. Take Responsibility For Your Choices: Nobody's perfect. At one time or another, we will all face uncomfortable consequences. Sometimes they're the result of mistakes or impulsive actions. 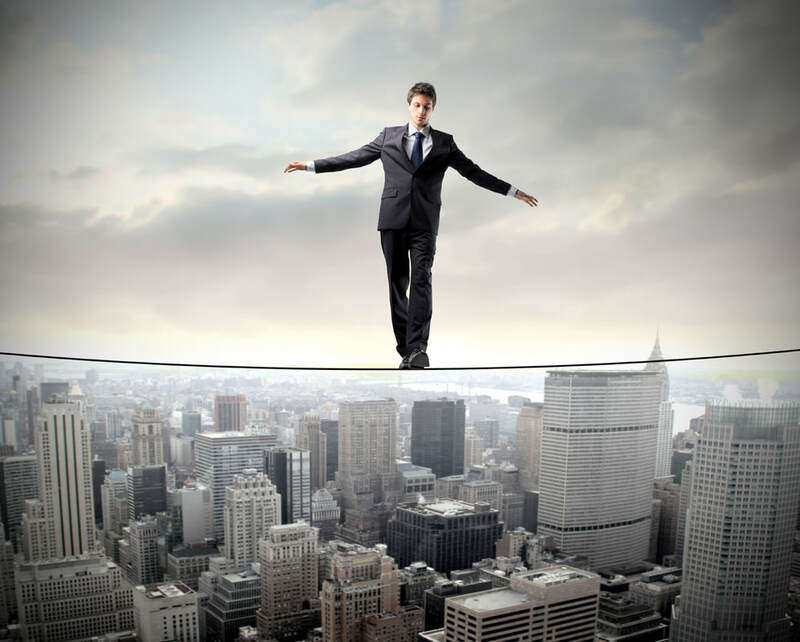 But even the most careful planning can't guarantee safety from negative consequences. It can feel convenient to blame outside causes for things that go wrong in life, but your life is the sum of all the choices you make along the way. If you tend to blame other people or things, it may be scary to take responsibility for what happens in your life, but it is really quite liberating because instead of seeing yourself as an effect of outside forces, you realize you are the cause of everything good you achieve. Don’t abdicate responsibility for your life. 9. Schedule Regular “Me Time”: Take time alone to inventory your life. Spend some time analyzing where you are in life, your strengths and weaknesses. How can you turn the latter into the former? Think about your views on everything from your job to global warming and the existence of aliens—then work out why you feel the way you do. Is your reasoning sound? The better you understand yourself, the better you understand the world. 10. Make Time To Meditate: We spend almost all our time thinking of the past or planning for the future. We seldom spend time in the present. Your meditation could be formal meditation or prayer, but it could be as simple as merely focusing on each breath as it goes in and out for five or ten minutes, dismissing past and future thoughts as they arise—and they will! 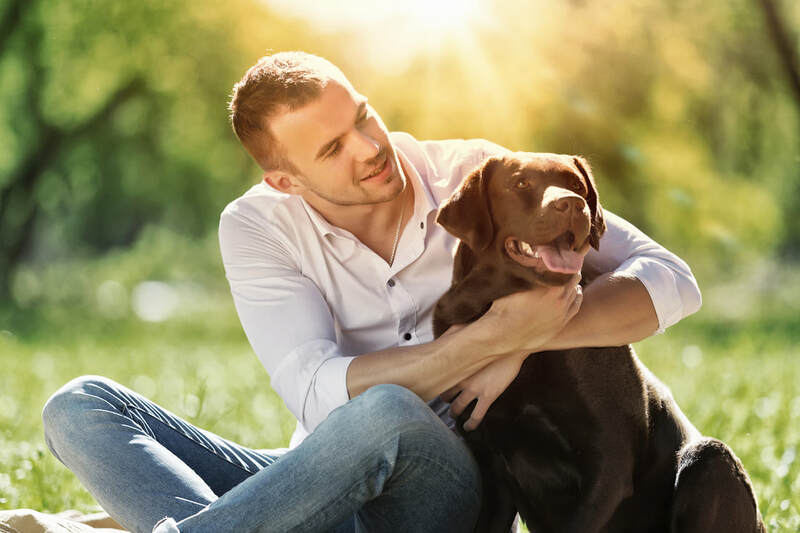 The more successful you are at assimilating the concepts and processes described in these points into your life, the more genuinely happy you will be, and the happiness will last! Look for more keys to boost your happiness, productivity and energy in my book, 21 Days to Happiness. Are you bombarded by thoughts of negativity? Have feelings of insecurity, stress or worry? This is normal... just watch the news and notice how many stories are negative and dramatic! You are what you mentally and spiritually eat. This is the time to go on a diet-- a diet of "positive attitude". You have to literally stop feeding your mind negative things. Ask yourself, is this thought positive or negative? What do negative thoughts look like? Well, they start with "can't" rather than "can", "no" as opposed to "yes", or focus on "won't" instead of "will". We tend to let our thoughts control us. Let's flip this around. A great way to know what we are negative about is to ask those people who are closest to us. Ask your spouse or a close friend how they would rate your attitude on a scale of 1 to 10, with 10 being super positive and 1 super negative. Ask this person to be totally honest with you. You will benefit from their honesty. Ask this person what it is that you specifically say that they perceive as negative. What do you complain about? Write down what they say and look at the actual words. Now is the time to be honest with yourself. Those words are a reflection of what is inside you. They reflect who you are. Consider patterns that emerge. Are you sometimes negative about your health? Work? Relationships? Are you afraid of things which could happen but often never do? The great thing is that you can change these thoughts. Complaining is just a bad habit! It is as simple as making a choice to do so. It's like flipping a switch. You must decide to replace the thoughts of negativity with thoughts of positivity. Decide to change the negative words on your paper to positive ones. Once you have done this, make an effort to insert these new positive thoughts in your mind. You will begin to notice a positive change taking place in your life. Your family, friends and co-workers will all notice it as well. They may not know what is different about you. But they will know that you are not the same person that you were. The items which are causing negativity in your life could very well be the news, negative people, replaying conflicts or stressful situations in your mind and the list could go on. Consider eliminating some negative sources if you want your new mental health regimen to be a success. 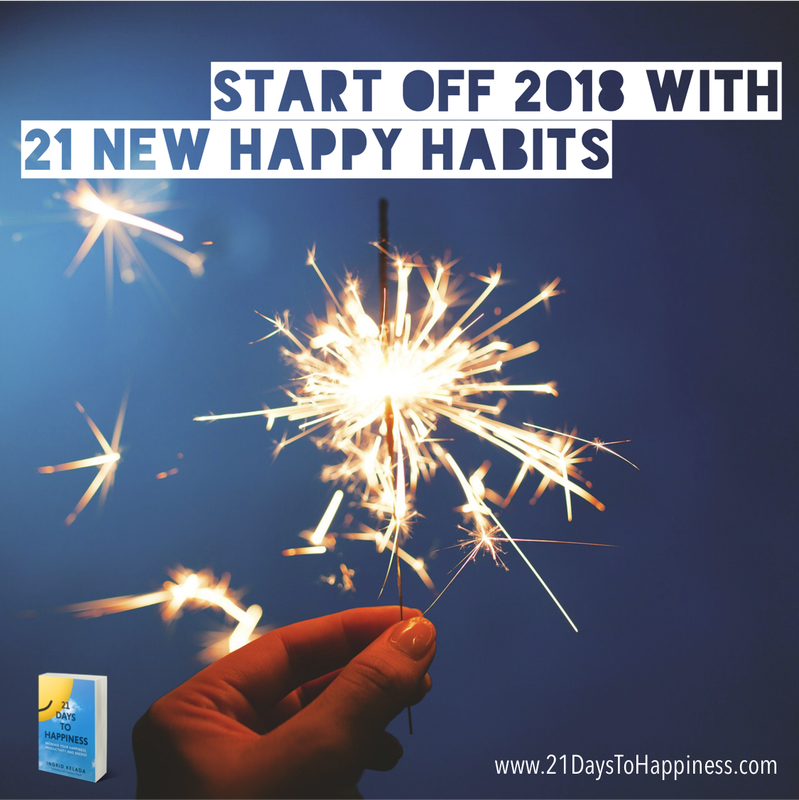 You can find more on embracing a positive attitude and improving your happiness in my book, 21 Days to Happiness in Day 12 on dealing with worry or Day 21 on optimism. "I know worry works because nothing I worry about ever happens." Have you heard of this quote? It sounds funny, but it's not far from the truth! It's normal to worry from time to time, but more and more people seem to worry about the smallest stuff. They also worry about the big things, too, of course, like health, relationships, and finances. Because worrying can be overwhelming and counterproductive, when writing my book 21 Days to Happiness, I decided to try to understand it through research and dedicated the chapter "Don't Worry Be Happy" to address how to decrease it. Maybe you'd like to know what to do about it. 1) Practice catching yourself. During a recent phone call with a friend, I caught the person worrying 5 times about 5 different things. I'm not kidding. "Hey, you're worrying again." What I've learned is that worry is a mental habit. You can change habits; but you have to catch yourself first in order to stop it. 2) Practice thought switching. Once you catch yourself worrying, decide to think about something else. By this I mean, think of something that is more positive, perhaps a project or passion that will take your mind off whatever you are worried about. Are you planing an event, a trip or have some work goals you could focus on? Remember, "worrying is like a rocking chair...it keeps you busy, but it doesn't get you anywhere." 3) Act, file, or throw it away. Decide to do one of three things: decide to address the issue right then by finding a solution; if you can't do anything about it at the moment, give yourself a time to address it later; or decide that it is not important and let it go. In other words, act on it, file it or throw it away. Awareness and acknowledgment are the keys to changing our habits. If you tend to worry a lot, try to lighten up. 95% of what we worry about doesn't happen. What a waste of time and energy that can be. Of course, if there's a problem, find a solution...but let's not imagine and create problems that aren't there! What strategies work for you? Leave a comment or post on my 21 Days to Happiness Facebook page to tell me about it. Change often has a negative connotation for many people, especially when we have no choice. We are creatures of comfort and we automatically seek out what feels good in the moment. We long for comfort and this usually comes from that which we know; that which is familiar to us. Our minds and nervous systems are designed to find and attach meaning to everything. Something new can feel stressful, even scary. Your mind and your nervous system has to understand and adapt to the unknown and this process feels uncomfortable on many levels. Our nervous system works primarily by conditioning and by repetition we notice consistency and assume patterns. This system is really there to serve us in helping us being more efficient and to be able to do more, with less effort. Your mind is designed to always look for the best way. Through repetition we learn certain orders and sequences in which things happen and we learn to recognize and respond according to these sequences. We feel more and more confident when we are familiar with something. Simply be aware of the fact that there is a part of you that responds and acts based on your past experiences and associations. The challenge is to go from one pattern, one that does not serve you anymore, to one which will serve you more. 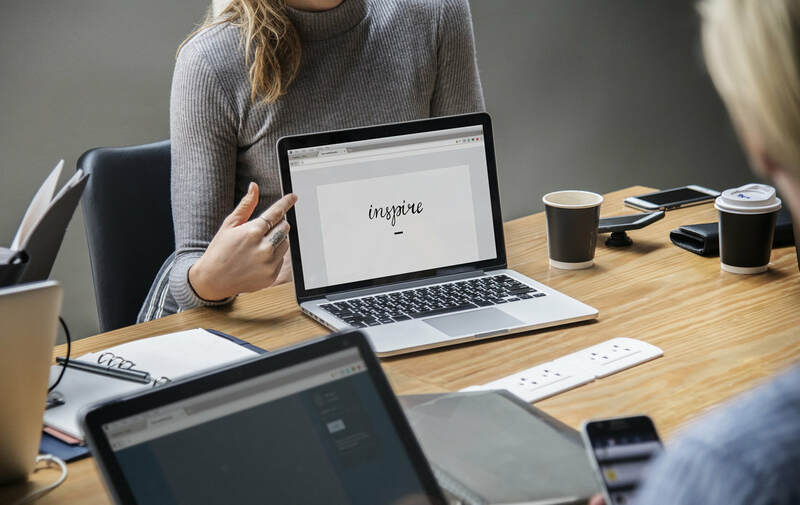 Adapting to change, whether at work or at home will feel uncomfortable at first, but rest assured that the uncomfortable will become comfortable as you form new associations and new patterns of association. Remember that old saying: "If you can't beat them, join them"? All of life is constantly in a process of change. Nothing stays the same. It's the nature of all of life, including you. Even if you do nothing, life will still change. It's tempting to resist the change and hold onto what we know, but doing that often leaves us stressed and unhappy. What if instead, you make the choice to initiate changes and embrace new things? The process of making the uncomfortable comfortable is the way we grow as human beings. As you become comfortable with new things, they become part of your comfort zone. Expanding this zone expands yourself as a person. The need to grow and develop is a need that all humans have. Without growth it is difficult to be happy for any length of time. 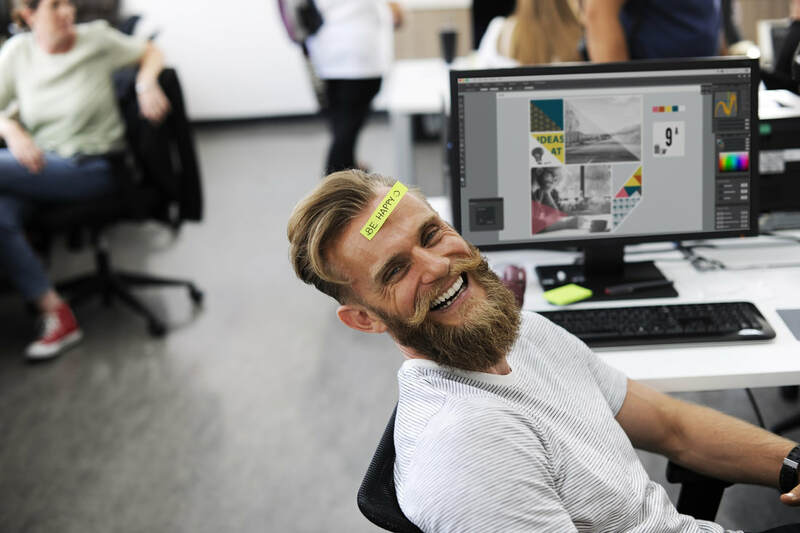 Although it feels uncomfortable in the moment, personal and professional growth feel fulfilling in the long term and make us feel good in a more lasting way. It creates a sense of pride in yourself. All change starts with a change of mind. You have to start by changing your thoughts about the change. Find a more positive way to look at an upcoming change. In changing the way you think about something you immediately change your perception and consequently the way you feel about it. When you change the way you feel you change your behavior and that's how you progress. Thoughts lead to feelings, and feelings lead to behavior. ​Trying to change behavior without first addressing your thoughts and feelings will rarely create lasting change. ​So remember this simple secret...change your thoughts and the rest will follow! I share a lot of tips on how to change your thoughts in my book 21 Days to Happiness. I hope you find them useful. 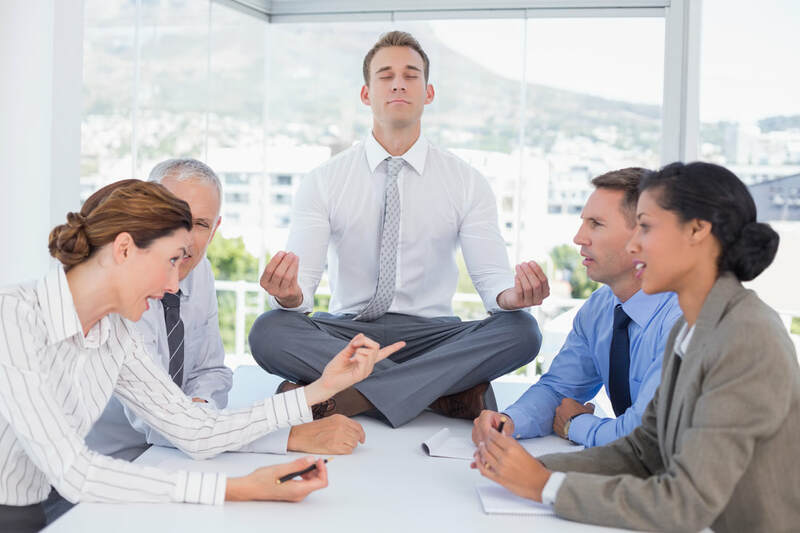 In a culture obsessed with high tech gadgetry, cellphones, credit cards, fast cars, large houses, and job titles, it should be no surprise that most people experience stress and anxiety. The strain of striving after material advantage and the dictates of the Almighty Dollar have made many people virtual slaves in their jobs. Even after working more than 50 hours a week or getting every material need and luxury that money can buy, many people still live unhappily. 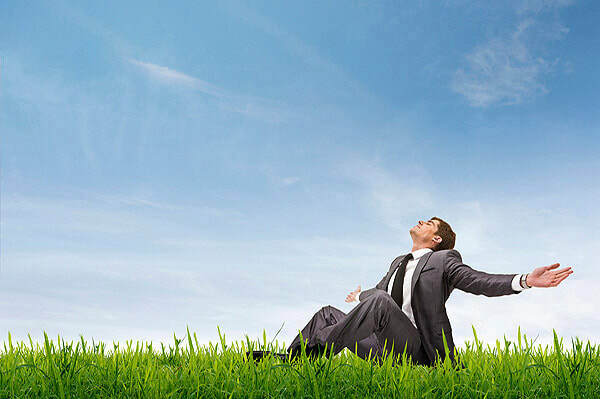 Success at work, instead of bringing fulfillment, leaves many people with a feeling emptiness and disillusionment. What we really are lacking is balance. A good start would be to have a career and life plan that balances your time and effort between work and home. If we plan carefully, we will most likely make the right action or choices. Life shouldn't be a big enigma. Life can be made simple and enjoyable. A career or life plan must start with having a stated purpose. Knowing what you really want helps you get rid of unnecessary fatigue brought about by things which are not really important. Knowing your priorities also help you get rid of unnecessary worries and prevents you from wasting energy. Writing it down --- putting your plan on paper --- is the first step on having a balanced life. Your first task is to identify what you want. Do you prefer to have a fun personal or family life, vibrant health more than having financial success or a well-respected position? Maybe you can have both without making any sacrifice in terms of time or quality of life? Write it down! Goals are much easier to achieve when we identify them and list them on paper. Are you neglecting yourself physically, mentally or spiritually? Are you neglecting your spouse, your children, your peers? Are you fulfilling your commitments? Are you operating in your comfort zone? Don't be discouraged if you answered "yes" to some of those questions. Taking a moment to acknowledge where your life is out of balance is a great first step toward happiness. Once you've identified problem areas, you can begin making changes that lead you toward a happier, more fulfilled life. You have the power to manage your everyday stresses. You have opportunity to make healthy changes in your life. It may take time, but don't be afraid to start now. These helpful tips will ease the pressures and get you moving toward happiness. Focus – Take a few minutes to focus. Which tasks from your to-do list are the ones you really want to do? Which ones can be delegated? What happens if something from your list doesn't get completed today? You'll often find it won't be a crisis if you have to push a few things back to another day. Don't be the Lone Ranger for every crisis or situation - Even The Lone Ranger can used a sidekick. Not every job can be effectively accomplished alone. Give yourself a pat on the back - Every once in a while, give yourself credit. Acknowledge all the good things you have done. Take breaks to recharge - Even a quick five-minute walk can help you clear your mind and refocus. You'll find after a break, you have more energy, and return to your tasks feeling refreshed. You always have a choice about how to respond to the world you live in. Being proactive and taking some time for self-care and prioritizing will go a long way toward reducing stress and the feeling of being overwhelmed. Do what makes you happy! 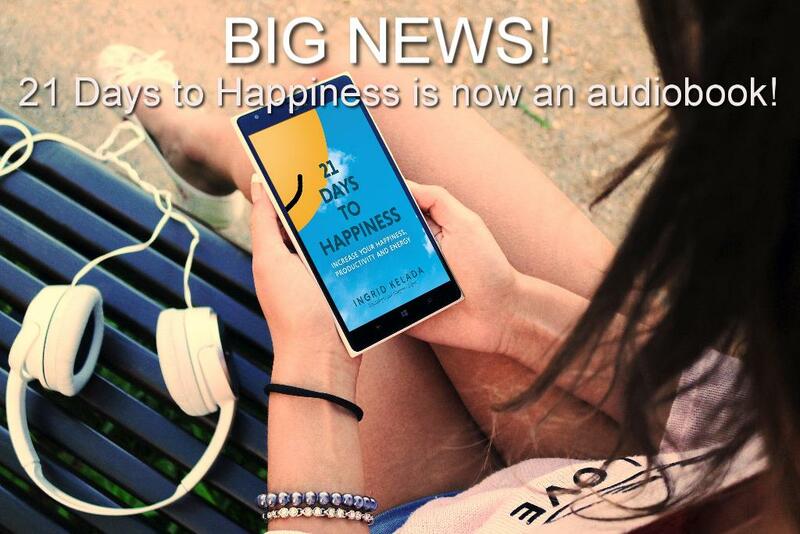 You can find more great tips on how to be a happier, healthier, more energetic person in my book 21 Days to Happiness, which is NOW AVAILABLE AS AN AUDIOBOOK. Listen on your commute to work, or while taking your daily walk and refresh your mind as well as your body. Get a plant and bring nature indoors. Well, most of us are eager to take a few days off for the holidays. Here's an idea: plan to buy a plant for your office or home. If you don't have the chance to go outdoors as much as you would like, why not bring a little outdoors, indoors? Even a small plant can make a big difference! Working indoors all day can feel draining sometimes. One simple way to boost your happiness in the office is to bring a little nature into your workspace with you! 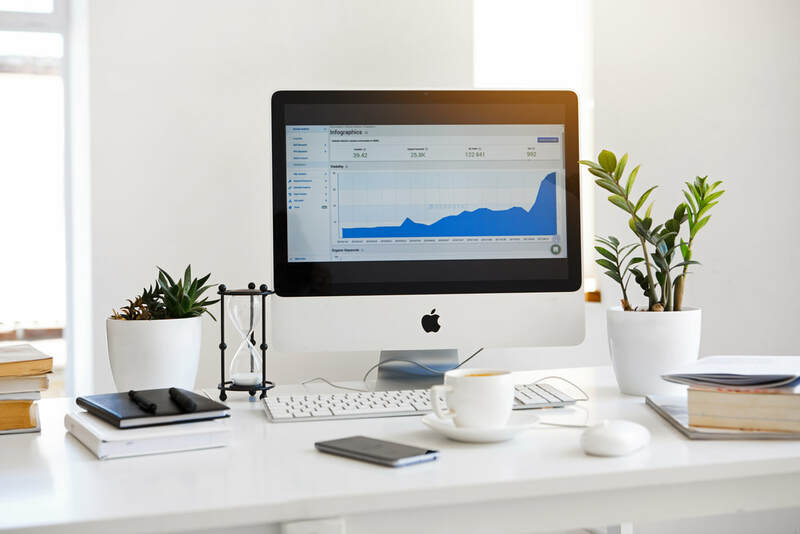 While you can't control the indoor climate in an office, you can improve the way the space looks and feels by brightening it up with a plant or two. Office spaces can easily become too hot, too cold, too dry or too damp. Finding the perfect balance of temperature and air quality for a group of people is a big challenge as we all have different preferences. In addition printers, copiers, computer monitors, floor coverings, paint and wallpaper can release substances into the air which affects the quality of the indoor climate. Yet you can easily improve the indoor climate by using plants! Plants help create a healthy indoor climate and a happier workplace. Not only do they put water vapor back into the air, they also absorb heat and filter dust and harmful substances out of the air. The effect of plants in the workplace has been the subject of repeated scientific investigation. Time after time the conclusion is the same: plants work! Here are some ways they help improve the quality of our work areas. Some indoor palms give off a lot of water, which helps keep humidity in the air and prevent dry eyes and nasal membranes. Plants like sword ferns cleanse the air of the formaldehyde released by building materials, paper and furniture. Other good air-purifying plants are the rubber plant, English ivy and date palm. The presence of plants does not just affect the physical climate. Researchers have discovered that a view of greenery can result in a demonstrable reduction in stress within five minutes. Research has shown that people who spend more than four hours a day working at a computer monitor feel better and are more productive with plants in the workplace! Companies are increasingly willing to accept that they have a key role to play in protecting the environment and the welfare of their employees, and therefore often strive for a 'green' image. Presenting such an image starts with a healthy indoor environment. Plants at work fit perfectly within many company policies. Check with your employer to see what the workplace rules are regarding plants in the office. With your employer's blessing, you can give the gift of a better workplace to yourself and those around you. Bring a little nature to your desk by adding a plant which purifies the air or helps reduce stress and makes you feel more productive. If you don't work in an office or at a desk, get a few more plants for your home. Look for plants which do well in lower light settings and avoid flowering plants as others may have allergies. In my book, 21 Days to Happiness, I talk about the importance of spending time outside in nature. It can be difficult to get outside every day, especially if you live in a place with cold winters. Bringing a few plants inside isn't a substitute for all the benefits of getting outdoors, but it's a small, easy thing you can do to improve your happiness in the time you spend inside. From me to you, HAPPY holidays...it'll be a perfect time to read my book or offer it to someone special and apply some of the tips , especially the ones focusing on family and friends and taking care of you! One day I hope to find my book 21 Days to Happiness on "Oprah’s list". What an awesome accomplishment that would be! In the mean time I was thinking, while I wait for the good news from Oprah's people, why don’t I share my own happy gift list with you? Here are 10 things you can buy as a way to say, "thank you," or, "I love you," to someone you appreciate or...why not, from you to you! #1: A pair of comfy pants for her ​or for him like these are the first thing you want when you wake up. #2: Then, turn on your "happy light" for an extra boost of positive energy! #3 and 4: Next, use a few drops of high-quality essential oils and this fabulous diffuser. These are 6 basic essential oils and this is the diffuser I use myself-- it's so practical and creates just the right mood! #5: Before you do anything else, how about a hot treat to warm you up? Use a cool mug for him or for her for your morning coffee, tea, or warm lemon water. Ahhh! So good. #6: Next, use this smiley face pan to make eggs or pancakes. I have a great healthy, simple recipe for mine: 1 egg, 1 mushed banana and a scoop of protein powder. Yum! #7: Enjoy your breakfast while listening to this classic bossa nova album by Astrud Gilberto…instant vacation! #8, 9, and 10: At the end of your day, make yourself a hot spa bath…pure heaven! Add a bath bomb to your hot water, light a non-toxic candle, et voilà! Instant at home spa! I use this bath caddy. You can even add a glass of wine. #11: Bonus! Soak in the tub and enjoy a few pages of my book, 21 Days to Happiness. Acts of kindness are one of the best ways to increase your happiness and the happiness of those around you. Why not pick a few things from my list and share them with those you love-- or spoil yourself this holiday! Nothing wrong with a little self-care sprinkled in with your holiday giving. Remember, happiness is contagious. So when you feel great, you spread even more happiness! Visit my books and more page for even more holiday ideas. Right now on Goodreads, you can enter for a chance to win one of two signed copies of 21 Days to Happiness! Click here to view the giveaway details. My book, 21 Days to Happiness is going on tour! Over the next few weeks, you can follow along and visit blog stops to see reviews, guest posts I've written, and interviews about my writing process, as well as some behind-the-scenes information about 21 Days to Happiness. Don't miss the chance to enter the giveaway featured at many stops where you could win a copy of my book and an Amazon gift card. Sound good? I've listed each blog below so you can check out the posts and see what each one offers. My goal is to spread happiness with my book, 21 Days to Happiness and I can not do it alone! Please share, like and post...it's a small act of kindness that can help someone. Don't just "be happy", "do happy!"